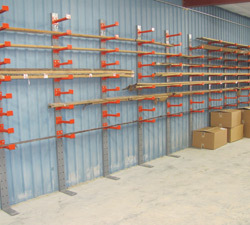 Cantilever Rack is a alternative storing system that allows users to store unique or oddly shaped material. It has the capabilities of storing light and heavy objects. 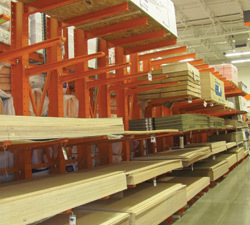 It is commonly used for storing lumber, metal and plastic pipe, sheet metal, and any other objects that has length or weight to them. 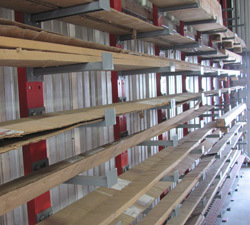 Another benefit of cantilever rack is it doesn’t require a pallet to store your goods. Which also cuts down handling time. 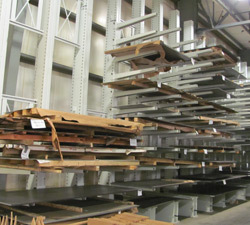 Great for storing sheets of metal, pipes, structural base, etc. Links up to the wall. 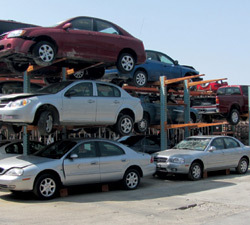 SIZES: up to 10', Arm Length up to 18"
Heavy duty, stores structural, bulk materials, sheet metal, vehicles, etc.